If you don’t have a healthy understanding of your company’s divisions, he probably won’t be shaking on a deal. The Leadership Insider network is an online community where the most thoughtful and influential people in business contribute answers to timely questions about careers and leadership. 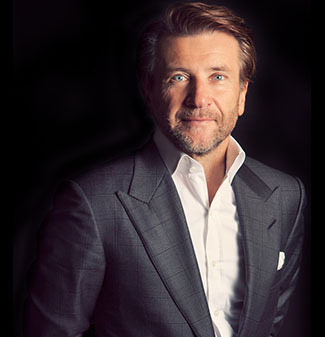 Today’s answer to the question “What do you look for in the ideal business partner?” is by Robert Herjavec, founder of Herjavec Group. The prospect of sinking my heart, soul and liquid assets into a company whose operation is in the hands of others scares the heck out of me. Never start a business you can’t run yourself. This may seem like common sense, but I say it because time and time again, I’m amazed at the people who know very little (or nothing!) about specific areas of their businesses. Now, don’t get me wrong, you don’t need to be an expert in all things, but you do need to have a healthy understanding of the divisions of your company. When heading into a business partnership, keep in mind that it’s a mutual agreement that you both need something from one another — usually money or expertise. Otherwise, you probably would have done it yourself. Bringing on partners means bringing in different perspectives and hearing them out. Knowing their strengths and trusting — but sometimes challenging — their judgments is what keeps balance and helps the business move forward. This goes for the business as a whole and for one another as partners. As your business changes and evolves, so will your partnership. This is not something to neglect. Check in with each other and make sure your vision and direction are on course. Your relationship sets the foundation for the company, so it’s important to maintain open communication and a united approach to achieving your goals. Finding someone who shares the passion of growing a business is easy, but finding someone who shares your vision is not always as simple. Don’t rush. This is your business and your future we are talking about.